Anonymous American photographer. "Gustav Adolf Hiller, his wife Julia, and their daughter Luise," 1851-52. In: A Guide to Early Photographic Processes, edited by Brian Coe and Mark Haworth-Booth, p. 36. London: Victoria and Albert Museum in association with Hurtwood Press, 1983. Atkins, Anna. 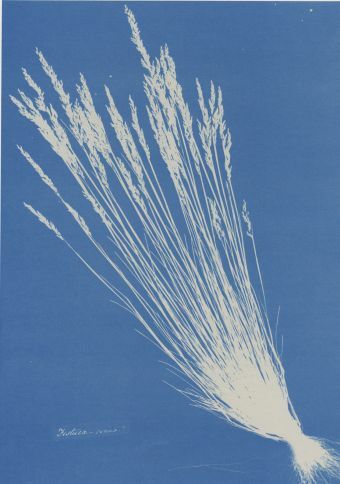 "Festuca ovina (fescue grass)," 1854. (Victoria and Albert Museum, London). In: A Guide to Early Photographic Processes, edited by Brian Coe and Mark Haworth-Booth, p. 79. London: Victoria and Albert Museum in association with Hurtwood Press, 1983. Talbot, William Henry Fox. "The Open Door April," 1844. (Victoria and Albert Museum, London). In: A Guide to Early Photographic Processes, edited by Brian Coe and Mark Haworth-Booth, p. 41. London: Victoria and Albert Museum in association with Hurtwood Press, 1983. Marville, Charles. 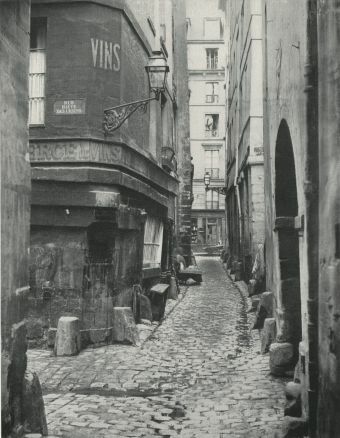 "Paris, Rue Glatigny," 1865. (Private collection.) In: Photography, 1839-1937: [exhibition March 1937], edited by Beaumont Newhall, plate 25. New York: The Museum of Modern Art, 1937. Thompson, John. 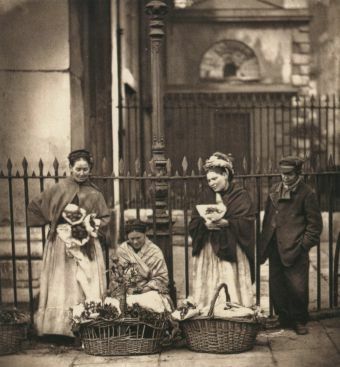 "Covent Garden Flower Women," 1877. (John Paul Getty Museum.) In: Looking at Photographs: A Guide to Technical Terms, by Gordon Baldwin and Martin Jürgens, p. 90. Malibu, CA: J. Paul Getty Museum, 2009. 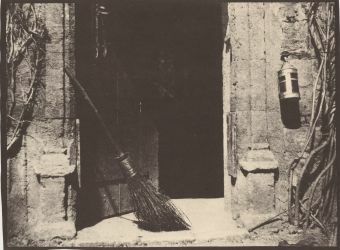 Atget, Eugene. 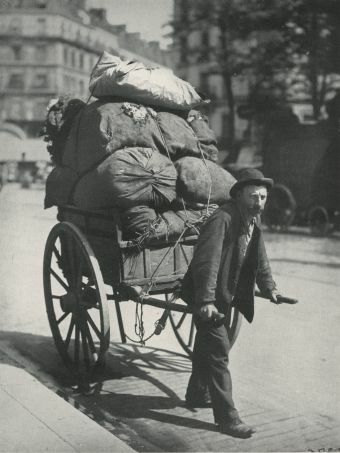 "Ragpicker," early 20th century. (Collection of Berenice Abbott). In: Photography, 1839-1937: [exhibition March 1937], edited by Beaumont Newhall, plate 44. New York: The Museum of Modern Art, 1937. Burgin, Victor, editor. Thinking Photography. Communications and Culture. London: Macmillan Press, 1982. Essays intended as "contributions towards photography theory...'towards' rather than 'to' as the theory does not yet exist; [though] as these essays indicate, some of its components may already be identified." Includes articles by Walter Benjamin, Umberto Eco, Victor Burgin, Allan Sekula, John Tagg, and Simon Watney. *Clarke, Graham. The Photograph. Series: Oxford History of Art. Oxford, NY: Oxford University Press, 1997. Concise but immensely useful exploration of the photograph, including chapters on What is a Photograph? ; how we read photographs; landscape, the city, the portrait, and the body in photographs; documentary photography; the photograph as fine art; and the manipulated photograph. Also includes a bibliographic essay, timeline, and glossary. Coke, Van Deren. One Hundred Years of Photographic History: Essays in Honor of Beaumont Newhall. Albuquerque: University of New Mexico Press, 1975. Festschrift for Beaumont Newhall, "the preeminent photographic historian of our time and...one of the most influential personalities in modern photography," written by important scholars in the field such as Helmut Gernsheim, John Szarkowski, and Minor White. Eder, Joseph Maria. History of Photography. Translated by Edward Epstean. NY: Dover Publications, 1978. "The most extensive history of photomechanical printing published." (Hanson Collection catalog.) Important history of photography-related technology with a German emphasis; also contains international biography and social history. Translated edition is not illustrated. The chapter on “Photographic technical journals, societies, and educational institutions” is useful for bibliography. Clark Stacks NE2606 E3g E Repr. ———. Quellenschriften Zu Den Frühesten Anfängen Der Photographie Bis Zum XVIII. Jahrhundert. The Sources of Modern Photography. New York: Arno Press, 1979. Reprints original source texts, usually in Latin, with German translations, in the earliest history of photography up to the 18th century. Includes an introductory essay by Eder and texts that describe eight seminal discoveries leading to the understanding and use of photographic chemistry. Fouque, Victor. The Truth Concerning the Invention of Photography: Nicéphore Niépce, His Life, Letters, and Works. Repr. ed. Literature of Photography. New York: Arno Press, 1973. Makes the case that Niépce, not Daguerre, was the inventor of photography; to that end it publishes letters and an unpublished note addressed to the Royal Society of London that document these early developments in the history of photography. Includes as well a biography of Niépce and a history of the works to which he devoted himself, often together with his brother Claude; a history of the invention of heliography, the original name of Photography, and the events and facts connected with it during Niépce's lifetime; and genealogical notes and history of the Niépce family. Frizot, Michael, editor. A New History of Photography. Köln: Könemann, 1998. Translation of Nouvelle Histoire de la Photographie, Paris: Bordas, 1994. Magisterial survey composes a “history” by combining 41 topical essays by noted authors. Insets focused on a specific photograph or topic are included in each essay. Fourteen additional illustrated sections enhance the text. Includes an illustrated glossary of photographic processes by Anne Cartier-Bresson and a bibliography by Fred and Elisabeth Pajersky. Gernsheim, Helmut, and Alison Gernsheim. The History of Photography from the Camera Obscura to the Beginning of the Modern Era. NY: McGraw-Hill, 1969. “The standard history and reference work on photograph” (at least as of 1969). Second edition has broader geographical coverage, updated information on technology, and more discussion of the artistic trands of the 20th century. Includes annotated bibliography, comprehensive lists of photographic journals, annuals, and societies for the first ten years, and bibliographic footnotes. Gernsheim, Helmut. The Origins of Photography. London: Thames and Hudson, 1982. This revised 3rd edition includes the first part of the History of Photography (above), with a new chapter on the origins of photography in Italy. Covers the pre-photographic era through the use of calotype and oher paper process, whilce Gernsheim;’s The Rise of Photogaphy (below) begins with the albumen and collodian processes. The final three sections on the gelatin period, some applications of photography, and photography and the printed page hve not been released in a new edition. Text and organization essentially unchanged from the relevant section of History of Photography but with additional illustrations. An excellent source for historical data, photographers, and technologies. _____. 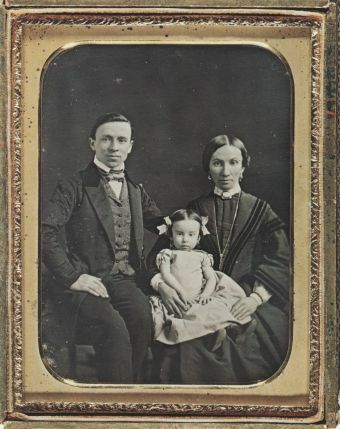 The Rise of Photography: 1850–1880, the Age of Collodion. London: Thames and Hudson, 1988. The second part of Gernsheim’s History of Photography appears here in a revised third edition. Begins with the introduction of the collodion process and continues through the development of dry plate processes. Text and organization essentially unchanged from the original History but with additional illustrations. An excellent source for historical data, photographers, and technologies. Museum of Modern Art. Photography, 1839-1937: [exhibition March 1937]. Edited by Beaumont Newhall. New York: The Museum of Modern Art, 1937. Catalog of the landmark exhibition curated by Beaumont Newhall. Includes an important essay on the history and aesthetics of photography and a brief bibliography. See The History of Photography: From 1839 to the Present below for the most recent edition of Newhall's historical text. Newhall, Beaumont. Focus: Memoirs of a Life in Photography. Boston: Little, Brown, 1993. Chatty, interesting, well illustrated memoir by one of the most influential curators of modern photography. *———. The History of Photography: From 1839 to the Present. Boston: Little, Brown, 1982. Extensive revision and expansion of the landmark essay in Photography, 1839-1937 (see above), with new text and illustrations and revised bibliography, follows the same scheme of technological and aesthetic development of photography. Expands coverage of topics thinly covered in previous editions, e.g. Dada and Surrealist photomontages. Final chapter "New directions" ends with the mid-1960s. Clark Stacks NE2606 N48 1937 5th ed. Rosenblum, Naomi. A World History of Photography, 4th edition. NY: Abbeville Press, 2007. Broadest coverage currently available for pre-1839 to early 1900s worldwide. Extent of coverage does not allow thorough contextual development of specific topics of photographers. Provides more focused examination in three short technical histories and six primarily illustrated sections on 19th century portraiture, the Western landscape, origins of photojournalism, origins of color in camera images, photography and social issues, and the industrial ethos. ———. A History of Women Photographers, 3rd edition. NY: Abbeville Press, 1994. Extensive coverage of a topic that has received scant attention in most histories. The attempt to produce a comprehensive text does not allow in-depth discussion of individual photographers. Primarily U.S. and European photographers. Includes general and individual bibliographies by Peter Palmquist. Schwarz, Heinrich. Techniken Des Sehens: Vor Und Nach Der Fotografie: Ausgewählte Schriften 1929-1966. Fotohof Edition, Band 70. Salzburg: Fotohof, 2006. Sections on photography as art, photography and painting, the mirror and camera obscura. Includes a bibliography and list of source works. Snelling, Henry Hunt. The History and Practice of the Art of Photography. Hastings-on-Hudson, N.Y: Morgan & Morgan, 1970. Reprint of the original 1849 publication. One of the first textbooks on photographic processes, prior to which initiation into the secrets of the trade was by personal instruction and experimentation. Emphasizes the daguerreotype process, but includes detailed instruction on the paper negative process invented by Henry Fox Talbot. Sobieszek, Robert A., editor. The Prehistory of Photography: Five Texts. The Sources of Modern Photography. New York: Arno Press, 1979. Includes reprints of five important texts by Germain Bapst, Georg Friederich Brander, Georges Potonniée, Henry Vivarez, and Isadore Niépce. *Szarkowski, John. Photography Until Now. New York: Museum of Modern Art, 1990. Szarkowski, director of photography at MOMA for 25 years, presents his own history of photography, supporting his observations with an exciting choice of well-reproduced and seldom-seen images: portraits, news and war photos, landscapes, still lifes, architectural views, advertising, and medical images. Chronological chapters trace the mutual influences and evolution of technology and style, from "Before Photography" to the post-1960s period, "After the Magazines." Werge, John. The Evolution of Photography. (Series: The Literature of Photography.) New York: Arno Press, 1973. Reprint of the 1890 edition, which included the subtitle: "with a chronological record of discoveries, inventions, etc., contributions to photographic literature, and personal reminiscences extending over forty years." Not intended as a textbook, the work endeavors to provide "a comprehensive and agreeable summary of all that has been done in the past, and yet convey a perfect knowledge of all the processes as they have appeared and effected radical changes in the practice of photography." Bolton, Richard, editor. The Contest of Meaning: Critical Histories of Photography. Cambridge, MA: MIT Press, 1989. Postmodern criticism has campaigned for multiple “histories” vs. the monolithic “history” of photography. Monographic “history” volumes are increasingly being supplemented by edited collections of essays that question traditional assumptions and methods. Bolton’s collection includes work by 14 eminent contemporary critics, including Douglas Crimp, Abigail Solomon-Godeau, Carol Squiers, and Allan Sekula. Eisinger, Joel. Trace and Transformation: American Criticism of Photography in the Modernist Period. Albuquerque: University of New Mexico Press, 1995. Straightforward examination of photographic criticism in the U.S. Good introduction to Sadakichi Hartmann, Alfred Stieglitz, Beaumont Newhall, Minor White John Szarkowski, the Postmodern critics, and others. Includes sections on pictorialism, straight and documentary photography, popular criticism, subjectivism, formalism, modernism and postmodernism. Includes bibliography. *Elkins, James, editor. Photography Theory. London: Routledge, c2007. Presents forty of the world's most active art historians and theorists, including Victor Burgin, Joel Snyder, Rosalind Krauss, Alan Trachtenberg, Geoffrey Batchen, Carol Squiers, Margaret Iversen and Abigail Solomon-Godeau, in animated debate on the definition and nature of photography. Hershberger, Andrew E., editor. Photographic Theory: An Historical Anthology. Chichester, West Sussex, UK: Wiley Blackwell, 2014. A compendium of readings, spanning ancient times to the digital age, related to the history, nature, and current status of debates in photographic theory. Offers an authoritative and academically up-to-date compendium of the history of photographic theory and is to date the only collection to include ancient, Renaissance, and 19th-, 20th-, and 21st-century writings on the subject. Marien, Mary Warner. Photography and Its Critics: A Cultural History, 1839–1900. NY: Cambridge University Press, 1997. From the series Cambridge Perspectives on Photography. “Presents photography as an idea, shaped by social concerns and inherited concepts, and as a burgeoning visual practice. “ Consistently citing 19th-century sources as well as more modern critics, provides a history of the idea of photography, revealing both the existence of diverse photographic practices and shifting notions of modernity. Tagg, John. The Burden of Representation: Essays on Photographies and Histories. Communications and Culture. Basingstoke: Macmillan Education, 1988. "Drawing on semiotics, on debates in cultural theory, and on the work of Foucault and Althusser, John Tagg rejects the idea of photography as a record of reality and the notion of a documentary tradition, and traces a previously unexamined history that has profound implications... for the history and theory of photography."